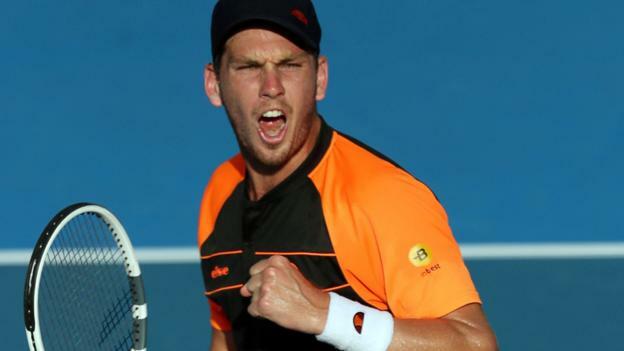 British number two Cameron Norrie will contest his first ATP final after beating Germany’s Jan-Lennard Struff in the Auckland International semi-finals. The 23-year-old won 7-5 4-6 6-3 in the city where he grew up before switching allegiance to Britain in 2013. Norrie, ranked 93 in the world, will face American Tennys Sandgren, the number 63, in Saturday’s final. On Tuesday he begins his Australian Open campaign against American Taylor Fritz. Heard the one about the South African-born, New Zealand-bred world number 93 with a Scottish father and Welsh mother who went to college in the USA and is about to represent Great Britain at the Australian Open? With Andy Murray announcing his impending retirement, Cameron Norrie will be one of Britain’s main male tennis hopes and will begin his maiden campaign in the main draw at Melbourne Park against American Taylor Fritz. Norrie’s run at the ASB Classic in Auckland, where he beat Fritz in the quarter-final, has led to the Kiwi press ruing a “what might have been” for New Zealand tennis. He was born in Johannesburg, but moved to New Zealand as a toddler and decided to change allegiance to Britain as a 16-year-old because of funding issues. “There’s an ongoing sense of angst and regret about the circumstances of his departure from New Zealand,” said the New Zealand Herald. Nevertheless, Radio New Zealand said the crowd in Auckland “overlooked the Union Jack next to his name and treated him like a hometown hero anyway”. It is in the 12 months since a defeat in Australian Open qualifying last year that Norrie’s career has taken off. The left-hander, who lived and trained at the National Tennis Centre in Roehampton, London for three years as a teenager before being handed a scholarship at Texas Christian University, peaked at a career-high 66th in the world in 2018 during his best year on the circuit to date. Norrie enjoyed a superb debut on Britain’s Davis Cup team, coming from two sets down to beat world number 23 Roberto Bautista Agut in five sets in a match against Spain. And Bautista Agut – Andy Murray’s first-round opponent in Melbourne – was one of eight top-50 players Norrie toppled in the last year, with Australia’s Nick Kygrios and American Wimbledon semi-finalist John Isner also falling to the British number two.